“The idols of the nations are…the work of human hands. They have eyes but do not see…. Those who make them become like them, so do all who trust in them!” (Ps. 135:15-18). Make and trust a blind idol, and you become blind. Apply that principle to the modern world, and think of the idols of our own day. What do we make and what do we trust? Things. Toys. Technology. And so our hearts and our affections are formed by these things. They compress the void in our heart into shapes like toys. The result is that we are easily moved and excited by things—computers, cars, appliances, entertainment media. They seem to fit the shapes in our hearts. They feel good in the tiny spaces they have made. But in this readiness to receive pleasure from things, we are ill-shaped for Christ. He seems unreal, unattractive. The eyes of our hearts grow dull. Jesus’ words, “Truly I say to you, this generation will not pass away until all these things take place,” are the chief cornerstone in the preterists’ defense of their system. R. C. Sproul, a moderate or partial preterist, states, “The most critical portion of this text is Jesus’ declaration that ‘this generation will by no means pass away till all these things take place.’ ” Preterists point out that in all the other instances in the Gospels “this generation” refers to the then-present generation (Matt. 11:16; 12:41-42, 45; 23:36; 24:34; Mark 8:12 [twice], 38; 13:30; Luke 7:31; 11:29-32, 50-51; 17:25; 21:32). How then is this verse to be explained? Actually it is difficult for any theological position, including that held by moderate preterists. (They struggle to interpret “all these things,” which clearly implies the coming of Christ in glory described in verses 27-31 and 37-41.) A number of explanations of verse 34 have been proposed. First is the interpretation of the preterists, who say all the predictions of Matthew 24:4-33; Mark 13:5-29; and Luke 21:8-31 were fulfilled in the siege and destruction of Jerusalem. However, this view can be held only by overlooking the meaning of several verses in the discourse, including Matthew 23:39; 24:22, 27, 30, and the meaning of παρουσία. A second interpretation, held by a number of futurists, affirms that the noun γενεά means race, that is, the Jewish race. Bauer, Arndt, and Gingrich give “clan” as a primary meaning, but they list only Luke 16:8 as an illustration in the New Testament. It is difficult for dispensational premillennialists to take this view because this would imply that Israel would cease to exist as a nation after the Lord’s return: “This race of Israel will not pass away until the Second Advent.” But Israel must continue after the Second Advent into the millennium in order to fulfill the promises God made to that nation. A fourth interpretation says this is an illustration of multiple fulfillment. As Mounce asserts, “Biblical prophecy is capable of multiple fulfillments.” He comments as follows on Matthew 24:32-35. In the immediate context, the “abomination of desolation” (v. 15) builds on the defilement of the temple by Antiochus Epiphanes, is repeated when the sacred temple in Jerusalem is destroyed by the Roman army in A.D. 70, and has yet a more complete fulfillment when the eschatological Antichrist exalts himself by taking his seat in the “temple of God” proclaiming himself to be God (2 Thess. 2:3-4). In a similar way, the events of the immediate period leading up to the destruction of Jerusalem portend a greater and more universal catastrophe when Christ returns in judgment at the end of time. Gundry is right in his observations that double fulfillment (I would say “multiple fulfillment”) involves an ambiguity that needs to be accepted as fact rather than objected to on literary grounds. A number of commentators agree with this explanation. Another question for all interpreters is the meaning of “all these things” in Matthew 24:34 and Mark 13:30 (Luke 21:32 has “all things”). It is possible that the “these things” looks back to the question of the disciples when they asked, “When will these things [the destruction of the temple] happen”? (Matt. 24:3; Mark 13:4; Luke 21:7). But there are difficulties with this explanation. First, the question of the disciples is so far removed from the Lord’s statement in Matthew 24:34; Mark 13:30; and Luke 21:32 that it makes such an interpretation improbable. Second, when the Lord said “all these things,” He undoubtedly was looking at more than the destruction of the temple. “All these things” must include His glorious return to reign, as the immediate context clearly implies. A fifth interpretation seems best. It takes the verb γένηται as an ingressive aorist. The same verb is found in all three Synoptics and is translated “takes place” (Matt. 24:34; Mark 13:30; Luke 21:32). As an ingressive aorist it emphasizes the beginning of the action with the meaning “begin to take place.” All those things would begin in that generation and find their ultimate completion at the Second Advent. This fits with the idea of not being deceived by the events mentioned in Matthew 24:4-8. The Lord specifically referred to these as “the beginning of birth pangs” (v. 8). Interestingly, although Mounce does not accept this interpretation, he suggests it as a possibility and gives no refutation of it. So many aspects of ministry demand excellence, and there are not enough hours in the day to be excellent in all of them. When I was a young man, I heard D. Martyn Lloyd-Jones comment that he would not go across the street to hear himself preach. Christ was resurrected from the dead (Matt. 28:1-15; Mark 16:1-8[9-13]; Luke 24:1-35). He is a type of the offering of the first fruits which was offered the day after the Sabbath (Lev. 23:9-14; 1 Cor. 15:23). 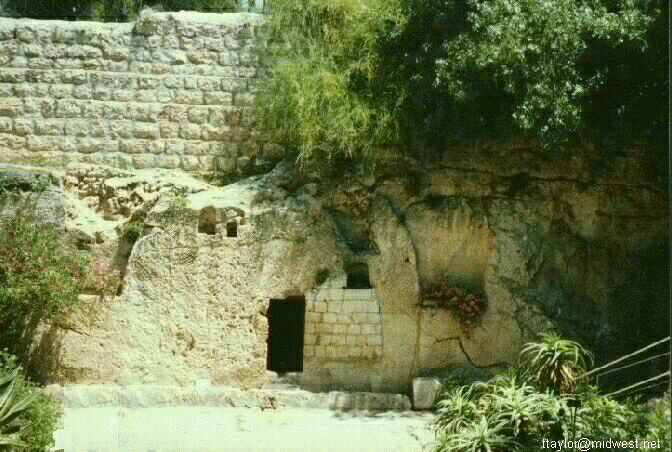 Jesus was lying in the tomb during the Sabbath, and the Pharisees secured Roman guards to keep watch of the tomb (Matt. 27:61-66; Mark 15:47; Luke 23:55-56). Early in the morning, Jesus was tried by the Sanhedrin, Pilate, Herod Antipas, and Pilate again (Matt. 27:1-30; Mark 15:1-19; Luke 22:66–23:25; John 18:28–19:16). Jesus was then led to the cross and crucified at 9:00 a.m. and died at 3:00 p.m. and was buried later that day (Matt. 27:31-60; Mark 15:20-46; Luke 23:26-54; John 19:16-42). Christ the Paschal Lamb (1 Cor. 5:7) died at the time when the Israelites were sacrificing their Passover lambs. 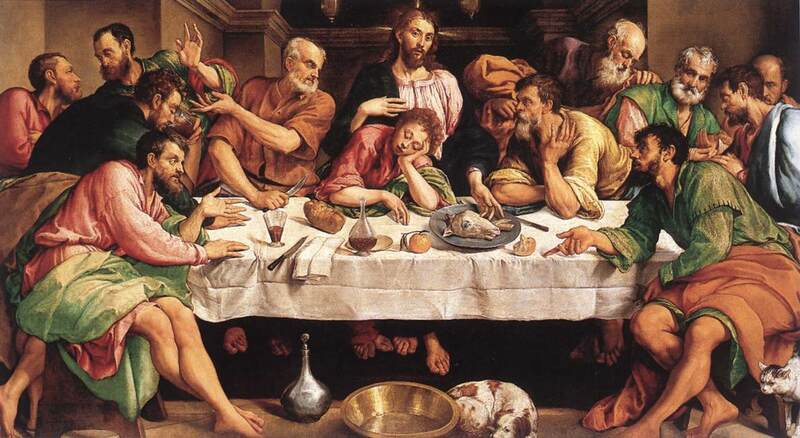 On this day, he had His disciples prepare the Passover lamb (Matt. 26:17-19; Mark 14:12-16; Luke 22:7-13), and Jesus and His disciples had their Passover meal in the Upper Room (Matt. 26:20-30; Mark 14:17-26; Luke 22:14-30; John 13:1–14:31). Leaving the Upper Room, Jesus had a discourse with His disciples and offered an intercessory prayer in their behalf (Matt. 26:30-35; Mark 14:26-31; Luke 22:31-39; John 15:1–18:1). They arrived at the Garden of Gethsemane, and it was here where Jesus suffered in agony (Matt. 26:36-46; Mark 14:32-42; Luke 22:39-46; John 18:1). Later that night Jesus was betrayed and arrested (Matt. 26:47-56; Mark 14:43-52; Luke 22:47-53; John 18:2-12). During the rest of that night, Jesus was tried first by Annas and later by Caiaphas with the religious leaders (Matt. 26:57-75; Mark 14:53-72; Luke 22:54-65; John 18:13-27).